ASTM A694 F65 Flanges is low alloyed steel that is supplied in both tempered and quenched condition. The flanges are typified by having good moderate strengths and also impacts toughness and are also extensively used for the flanges manufacturing. The flanges undergo heat treatments. The first one is normalizing in which heat treatment is given to 890 to 960⁰C for time commensuration with the ruling section and air cool if needed. The next one comes is Tempering in which re-heat treatment is given to 540 to 650⁰C, holding for time commensuration with ruling section and air cool. The last is hardening in which treatment is given to 890 to 960⁰C for time commensuration with the ruling section and quench into the water. ASTM A694 F65 Flanges machining, these kinds of flanges are having excellent machinability. The operations include milling, sawing, broaching and turning. It can be easily accomplish with high satisfaction level by using standard machine equipment that producers are recommending feeds and speeds. These grade flanges are wealdable readily by using any technique. The available standards of these grade flanges are ASME flanges, BS flanges, DIN flanges, ASTM flanges, ANSI flanges, EN flanges etc. The available size of ASTM A694 F65 Flanges is 1/2" NB – 48" NB. The specification of the flange is ASTM A694. The available class is 150 LBS, 600 LBS, 900 LBS, 2500 LBS, DIN standards 40, 10, 16, 25, 6. The flange type that is easily available is ring type joint, flate face and raised face. Just keep all these things in your mind when buying the ASTM A694 F65 Flanges through online. It will help you in getting reliable one as per the requirements. 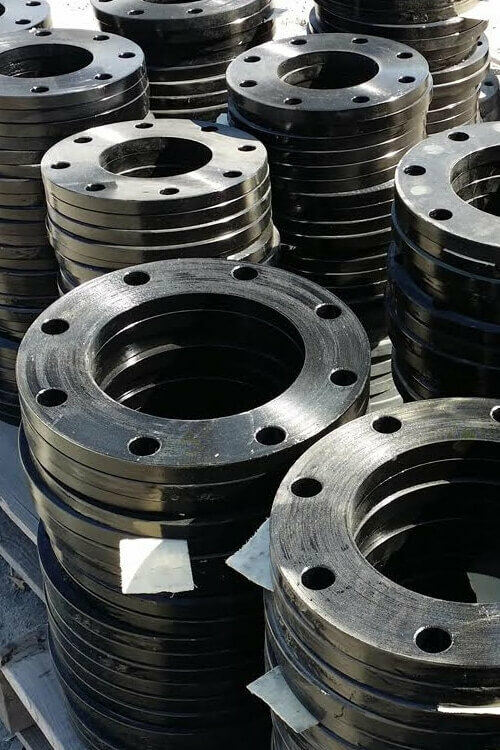 ASTM A694 F65 High Yield CS Plate Flanges, ASTM A694 Grade F65 Slip-On Flanges, High Yield Carbon Steel ASME SA694 F65 Long Weld Neck Flanges, Standard Size ASTM A694 F65 Flanges Supplier, ASTM A694 F65 Carbon Steel Blind Flanges, ASTM A694 F65 Square Flanges Manufactures in Mumbai India, Carbon Steel ASTM SA694 F65 Reducing Flanges, A694 F65 Carbon Steel Orifice Flanges Exporter, ASME SA694 F65 Lap Joint Flanges, ASTM A694 F65 CS Socket Weld Flanges, ASTM A694 F65 Threaded Flanges.